Although hospitals and insurance companies like to pretend that every illness and injury is a result of a preexisting condition, the truth is that many medical injuries were caused by otherwise preventable conditions and were exacerbated by negligent treatment from a physician. Whether the issue was an unqualified nurse, a careless surgeon, or an overworked emergency room staff member, the bottom line is that you are now suffering. Worse yet, you could be facing a lengthy period of recovery that includes dealing with significant medical bills and rehabilitation expenses. That’s why you need the skilled medical malpractice lawyers of Andres & Berger, P.C. on your side early in the process. 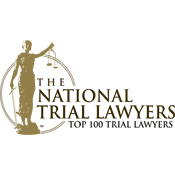 We are the go-to legal resource for medical malpractice victims in Camden, New Jersey and we will fight to get you compensation and justice for your injuries or illness. Were you a victim of doctor negligence in Camden County, NJ? The experienced medical malpractice attorneys at The Law Offices of Andres & Berger are ready to help you. Call us now to discuss your situation. 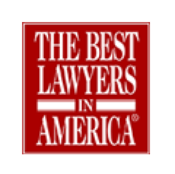 Before you even think about filing a medical malpractice claim in Camden or anywhere else in Camden County, NJ, talk to the experienced lawyers at Andres & Berger, P.C. We will investigate your claim and make sure that you are fully prepared to begin negotiations with the negligent medical provider or their insurance company. 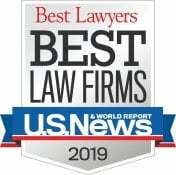 The Law Offices of Andres & Berger is a boutique law firm that places a particular emphasis on helping clients file medical malpractice claims. 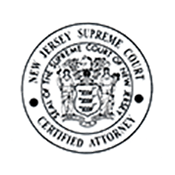 Our litigation team include lawyers who have been certified by the Supreme Court of New Jersey as Civil Trial Attorneys, which places them among a select group of NJ attorneys to receive this prestigious certification in recognition of their trial experience and their excellence in the courtroom. When you hire Andres & Berger, P.C. to represent you in your medical malpractice case, you know that you will have passionate advocates in your corner throughout the legal process. We will negotiate with the insurance company in advance of trial and seek a favorable settlement that secures you the financial compensation you deserve. When settlement is not the best option, we will tirelessly argue on your behalf in court. 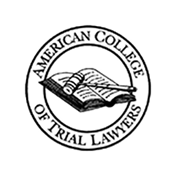 The fact is that our reputation as tenacious litigators often precedes us in the courtroom. That’s one of the reasons that so many other attorneys in South Jersey refer their major medical malpractice cases to Andres & Berger. 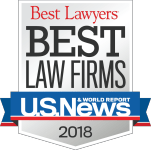 Michael Berger, a founding and managing partner of The Law Offices of Andres & Berger, P.C., limits his legal practice to medical malpractice claims because he wants to provide each client with personalized attention. If you were seriously injured due to a doctor’s mistake, or if you lost a family member because of surgical negligence, Mr. Berger can help you win your case and hold the negligent doctor, physician, or nurse accountable. Mr. Berger, who has been named a “Top Civil Trial Attorney of South Jersey” by South Jersey Magazine, will not rest until you’ve gotten justice for your loss. Doctors need to be held responsible when they are negligent and fail to meet professional medical standards. 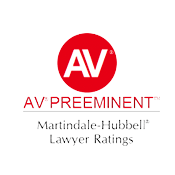 Determining whether your doctor departed from a recognized standard of care is a difficult legal question to answer, which is why you need a knowledgeable medical malpractice attorney handling your case. The Camden medical malpractice lawyers at The Law Offices of Andres & Berger, P.C. will investigate your case, speak with medical experts, and determine the best course of action to get you the compensation you deserve. We offer a free initial consultation and we handle all medical malpractice cases on contingency, so there are no upfront costs. Call Andres & Berger today. Camden is a city located in Camden County, NJ. Camden has a population of 77,344 residents and a geographic area of 10.3 square miles. The primary hospitals used by accident victims in Camden, New Jersey are Our Lady of Lourdes Medical Center and Cooper University Hospital. Our Lady of Lourdes hospital is considered one of the best medical facilities in the region and provides high-quality medical care and surgical procedures for individuals suffering from cardiovascular health problems. Our Lady of Lourdes is also the only medical facility in South Jersey that performs kidney and liver transplants. Cooper University Hospital, which used to be the clinical campus for Robert Wood Johnson Medical School, offers both patient care and teaching facilities for med students. In 2013, the MD Anderson Cancer Center launched an initiative with Cooper University Hospital to provide outpatient cancer services to cancer patients in South Jersey and other parts of the Delaware Valley.